Momentum has been behind Donald Trump in the betting markets since Friday and, as we approach the final weekend before Election Day, over 67% chance of customers who backed Brexit are backing Trump to become the Next President of the United States. Trump advocated Brexit in the build-up to June's referendum, which saw the majority of Britons vote to leave the European Union, and Nigel Farage has been lending his support to the Republican candidate's presidential campaign. Now, bettors who backed Brexit and made money against the odds believe Trump could pull off a similar surprise across the pond on Tuesday. In Betfair's individual state betting markets, the Republicans are still dominating the betting in Iowa, Arizona and Ohio, while the Democrats have gained confidence in the markets for Colorado and Nevada. It's still all square in North Carolina. 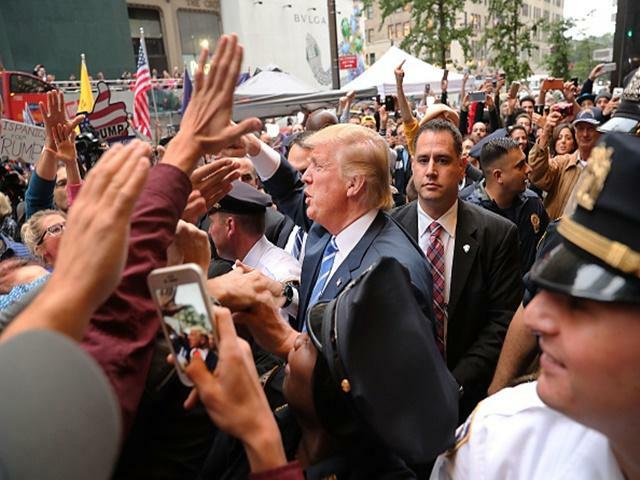 Barry Orr, Spokesperson for Betfair, said: "Brexit is still firmly in bettors' minds and those who made a killing from the result in June are backing Trump to come through for them again, with over 67% of Brexit backers putting their faith in Trump. "There's been several big bets coming in for the Republican Nominee in recent days but Clinton's price has shortened again this morning and the Democrat is now trading with a 73% chance of winning. The activity is really ramping up on the market with over £11m traded in the past four days and that will only accelerate as Tuesday creeps ever closer."